Contemporary dance can be classified as many things. At Ballet Elite we stress the importance of ballet in our contemporary program. This class takes the technical training that dancers receive in their ballet class and uses it to create new movements by fusing it with other styles of dance. Dancers will start in a lyrical based class where they learn to soften their ballet movements while still keeping it as a foundation. From lyrical your dancer will graduate into our contemporary classes where we will take the transformation even further. Classes begin with a stretch and strengthening warm up. Progressions follow which will work the dancers’ leaps, turns, transitions, and overall technique. Improvisational development is a large part of this program. Dancers will be challenged to take different improvisational elements and create their own movement throughout the class. Often times this includes partner work and contact exercises. Contemporary dance is a great way to explore movement in relation to emotion and intention. Dancers are challenged to take an intention (ex. fear, love, anger) and transmit it through movement. Many dancers find they are able to embrace their classical training but also release some of the structure to allow them greater freedom of expression. We hope to inspire students to break personal boundaries in this class and explore new movement. Lyrical dance is a form of dance that branches from ballet. It takes the technical training that dancers receive and softens it, while still keeping the foundation. The music in these classes often tells a story, and the movement corresponds. Lyrical dance is a very expressive form of dance. 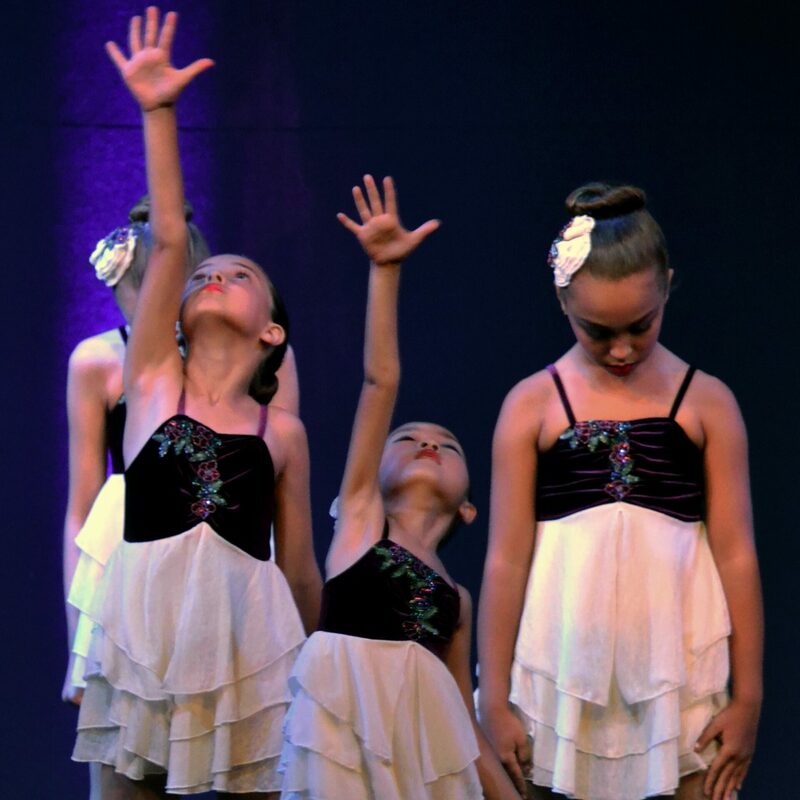 At Ballet Elite we start our younger dancers in this style, as it is a good introduction and transition to contemporary dance. To make the transition as smooth as possible, lyrical dance works mainly in the turned out position and follows many of the same rules as ballet. In this class, dancers will learn to be more expressive in their movement and performance. They will tap into the ability to tell a story and evoke emotion from the audience. Students will be challenged to different progressions weekly that include leaps, turns, and transition steps. Improvisational skills are introduced as well. Dancers will often be asked to take an intention or emotion and move freely to explore the music, describing this emotion through dance. As they get older these exercises will get more challenging and become a large portion of their training. The instructors at Ballet Elite push dancers to become more open and learn new ways to communicate through movement and dance.